Hi everyone! Sorry about the two week hiatus. I just wanted to spend the past two weeks enjoying the summer with my husband before it’s over and I go back to class. There are some exciting posts coming up in the next month, but I thought this week I’d do a summer tag post since summer is my favourite season. I have really fair skin so I used to stray away from bronzers since they would end up looking muddy or orange on my skin. 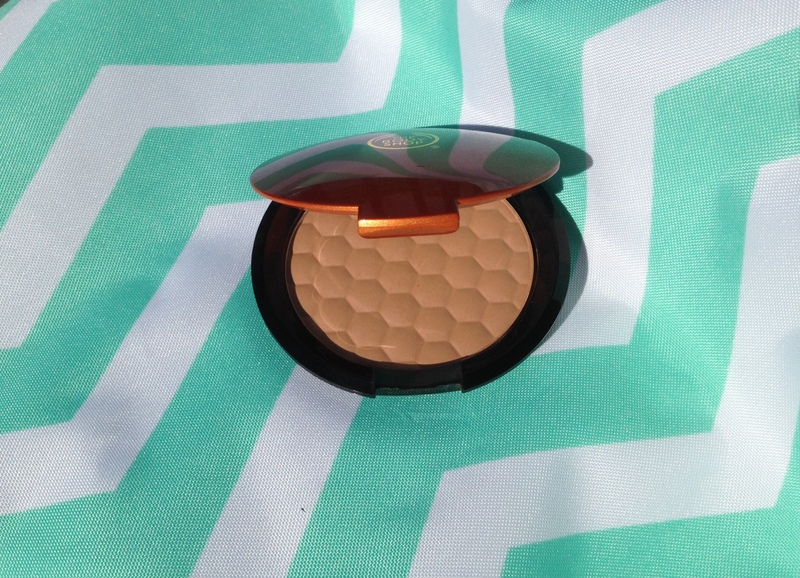 However, this year I discovered the Honey Bronzer from The Body Shop. I use the shade 01-light matte and it’s a really nice bronzer that blends well and looks very natural on fair skin. Lately I’ve been really into making smoothies. My favourite at the moment is a peach smoothie with almond milk and a splash of vanilla extract (It’s also really good with coconut milk). 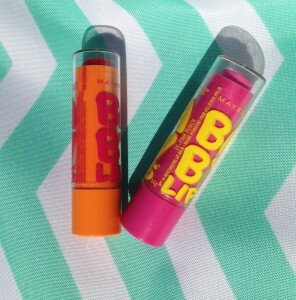 I usually stick with a lip balm for the summer months, so the Mabelline baby lips has been my go-to lip product. The cherry me and pink punch shades both give a tint of colour and also protect your lips with SPF 20. I also have a colourless version that smells like lemonade. I like to use products with SPF in the summer because burnt lips are not fun. If I could pick both I would, but I think a beach by the ocean is just a wonderful place to kick back and relax. 5. Summer = crazy hair! What’s your must-have styling product? I actually have two hair products that I love to use during the summer. The first is a good dry shampoo . I have fine hair, so the summer heat and moisture can make my hair fall flat. Dry shampoo helps give volume to my hair and absorb any oils that are bound to come when you’re outside all day. The second product is the Surf Spray from Bumble and Bumble. 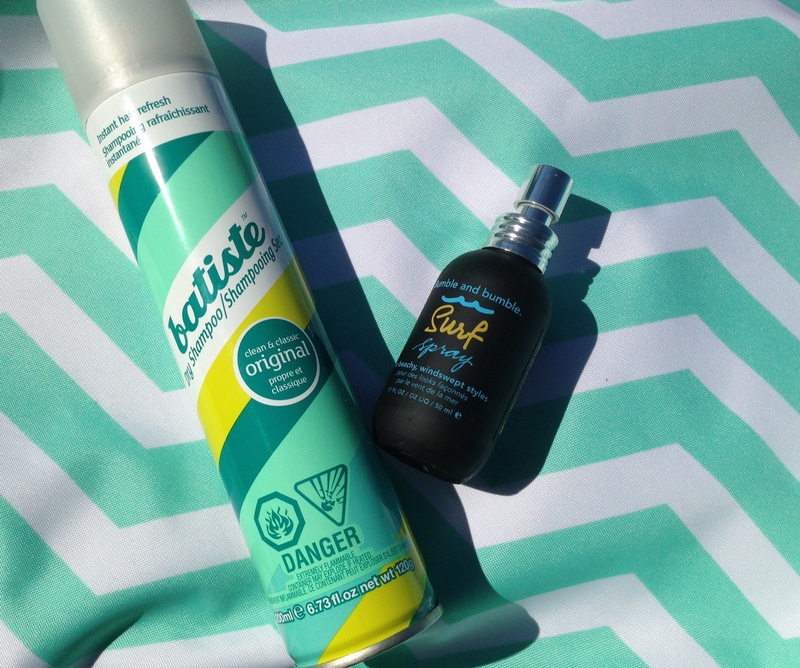 This salt spray gives my hair waves and texture without weighing my hair down. I would have to say fake tan just because I burn like a lobster. I don’t use fake tan much because I had issues with a streaky fake tanner when I was younger. However, this year I’ve been trying a gradual tanner that has worked really well for me. The Jergens Natural Glow doesn’t have that horrible fake-tan smell and slowly builds your tan over a few days. I use the shade Fair to Medium and I haven’t had any issues with streakiness. I only use it once in a while, but I’m really impressed with it. I have two favourites for this category. They’re both by China Glaze and they are really bright and colourful for summer. 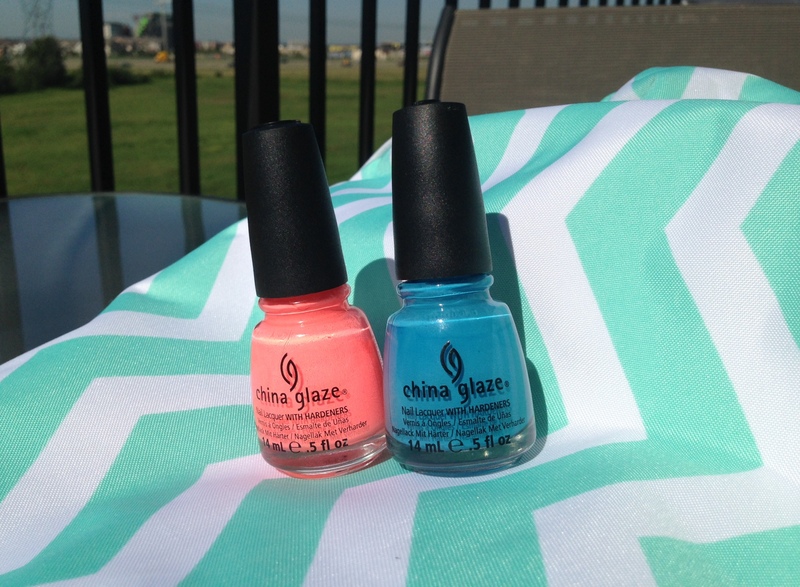 The first is Flip Flop Fantasy (the bright coral) and the second is Sunday Funday (the pool blue). I love the formulas for these nail polishes because they only need a coat or two and they don’t chip quickly. During the summer my husband and I love going camping in Jasper. We’ve been going for about 4 years, and it’s just a great opportunity to spend time with each other unplugged from electronics and computers. We also love going to Fort Edmonton and the Zoo while the beautiful weather is here. I included two products here because one is a limited edition scent. The first is the Marc Jacobs Daisy Sunshine perfume. It has a wonderful fresh/slightly floral scent and is great for summer. This is a limited edition scent so I’m not sure if it’s sold anymore. 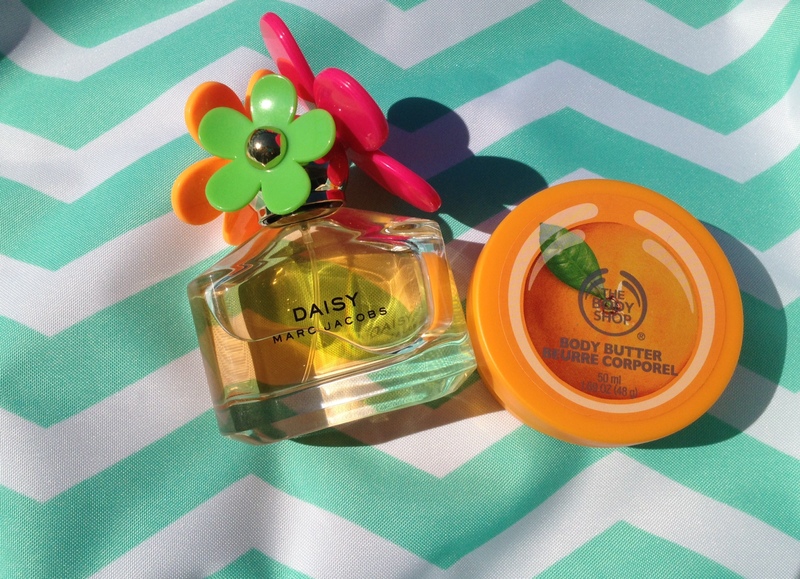 The second scent is actually a body butter from The Body Shop. The satsuma body butter smells like ripe oranges with a slight sweet note. To me there’s nothing better than a steak or rack of ribs off the BBQ. 11. 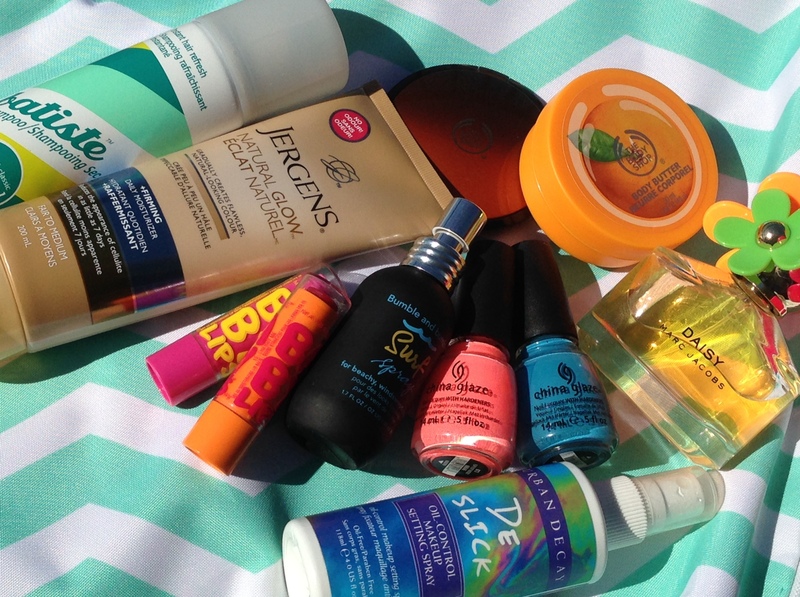 What’s your favorite summer-proof product? The best summer-proof product I can think of is Urban Decay’s De-slick setting spray. 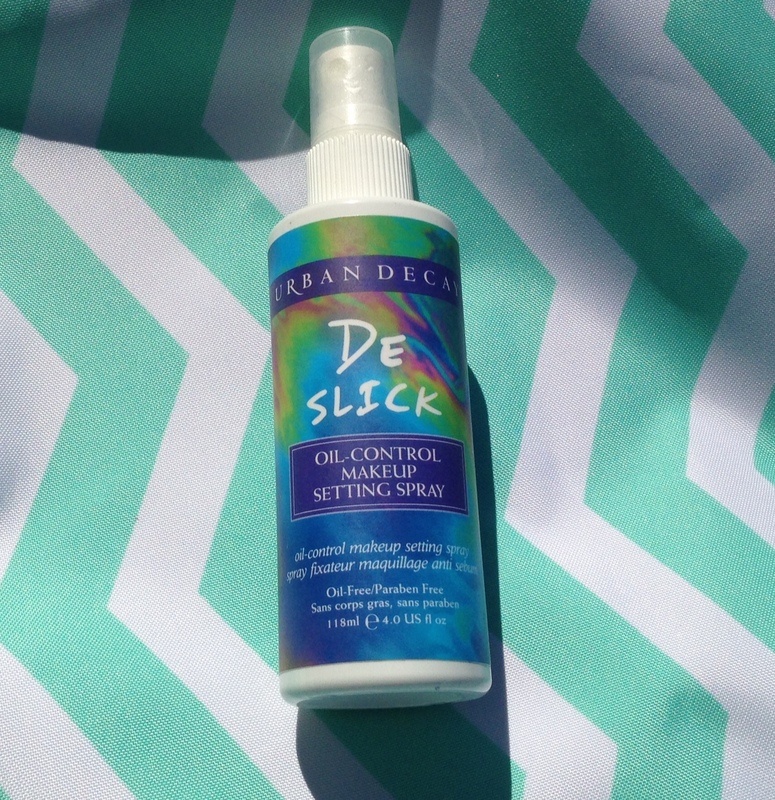 If you’re going to a wedding or out on a date, this spray will make sure your makeup stays in place and doesn’t slide off your face. I used this all the time when I was working in a kitchen during the summer, and it pretty much sweat-proofs your makeup. I hope you all are enjoying the wonderful summer weather!